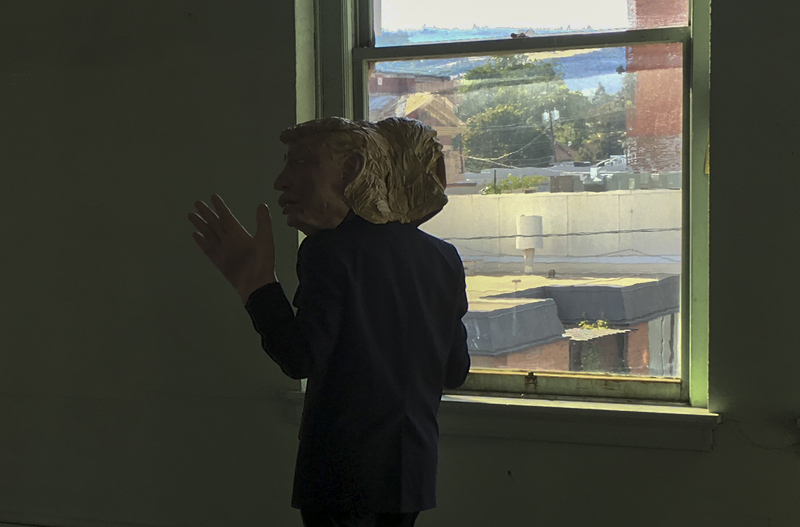 PORTLAND BIENNIAL2016 ROADTRIP – SCOLD Trump visits Hummm, Midori Hirose, Morin Print Building, The Dalles. Next Project S.C.O.L.D. is coming to a town near you!